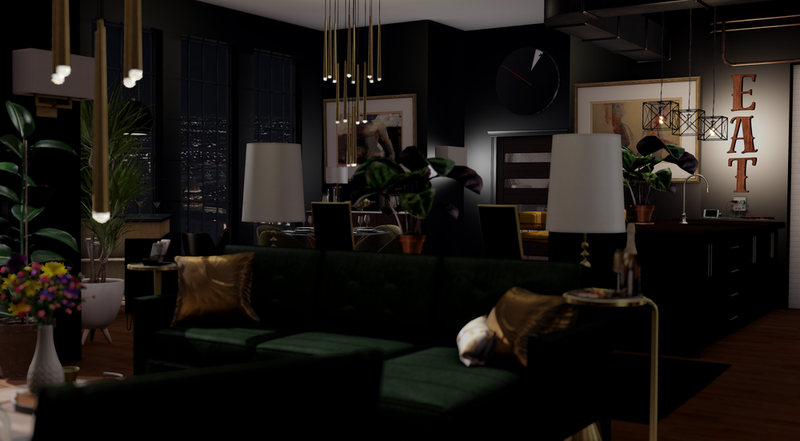 Our signature Penthouse two-bedroom suites are the envy of all of Secondlife. 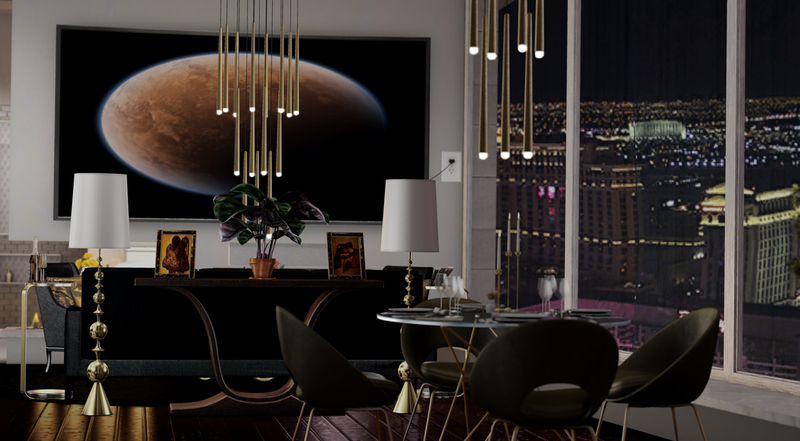 Boasting near panoramic city views from a 1,000-square-foot furnished apartment complete with modern armchairs and sofa, coffee tables, and a romantic dining table, this suite is ideal for a romantic getaway. The over-sized living areas feature a plush sofa and armchair accented by vivid throw pillows. 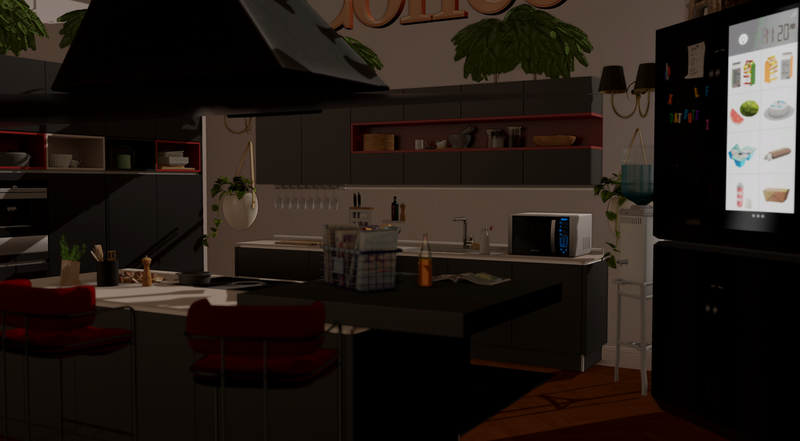 The Fully animated kitchen allows for full on role-play experience. Natural lighting from floor to ceiling windows enhances the suite’s sophisticated ambiance. Exceptional views continue into the bedroom, which also boasts an intimate setting, accessible through modern glass doors that let in abundant natural light. Sleep soundly in the king-size signature Bed. Our signature Executive one-bedroom suites are ideal for a romantic getaway. The living areas feature a plush sofa and armchair accented by vivid throw pillows. 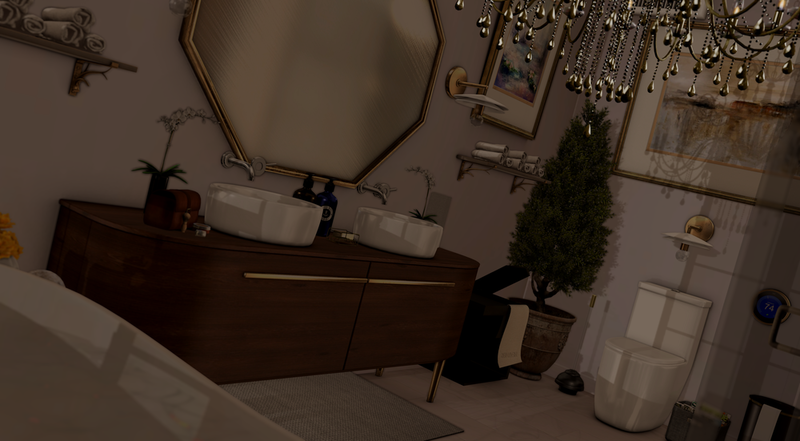 The Large Bathroom looks over the Las Vegas Strip. Natural lighting from floor to ceiling windows enhances the suite’s sophisticated ambiance. Exceptional views continue into the bedroom, which also boasts an intimate setting, king-size signature Bed. Our signature Chairman one-bedroom suites are ideal for a romantic getaway. The living areas feature a plush sofa and armchair accented by vivid throw pillows. Exceptional views continue into the bedroom, which also boasts an intimate setting, king-size signature Bed.